Cream Anett Blazer 10604125. Basic blazer that is suitable for everyday wear and parties. 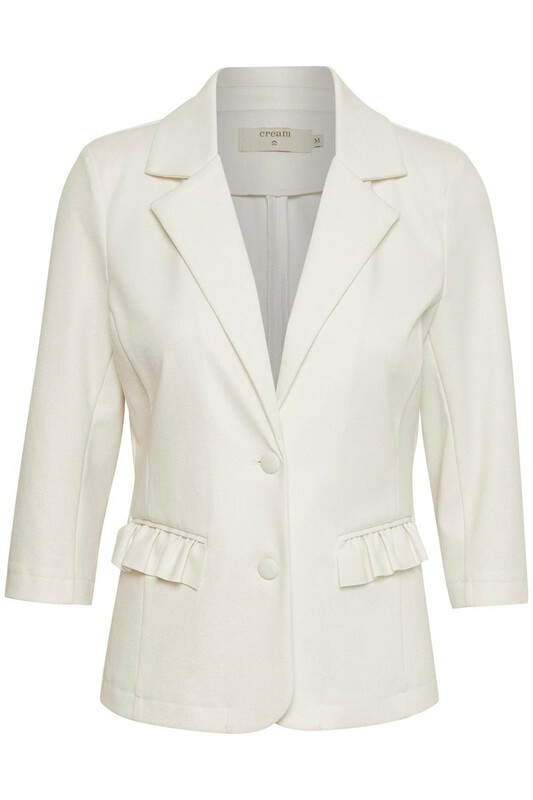 This lovely blazer with ruffles on the pockets is unlined, which gives it a fantastic fit with a little stretch. 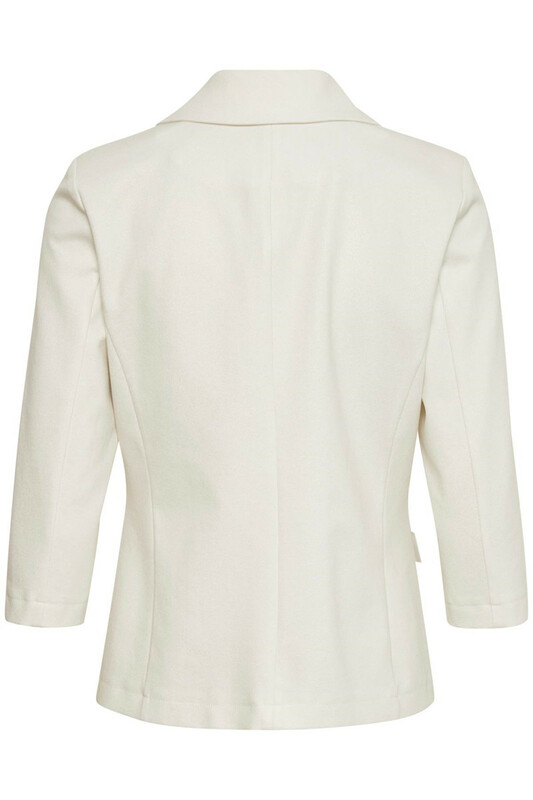 The blazer has delicate gold foil which catches the light - and admiring glances! 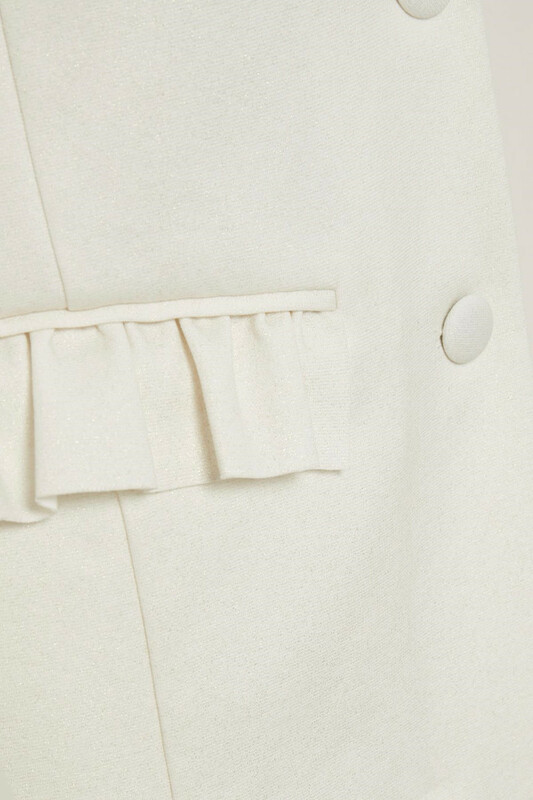 Shorts in the same fabric allow you to put together the most fabulous summer suit.